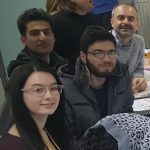 AMURT North West in Liverpool offers English classes on a drop in basis to the asylum seekers and refugees. AMURT NW works in some of Liverpool's most deprived neighbourhoods where rates of child poverty are at their highest. 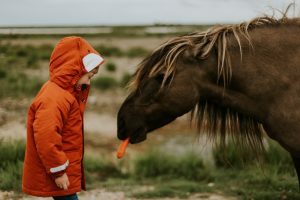 Their Animal Assisted Therapy programme will give 480 children from disadvantaged families the opportunity to work with ponies and experience some of the benefits of Animal Assisted Therapy. Animal Assisted Therapy can improve mental health and tackle feelings of isolation. It teaches children empathy, patience, responsibility, self worth, social skills and confidence. AMURT UK is supporting the AMURT NW office with their fundraising. 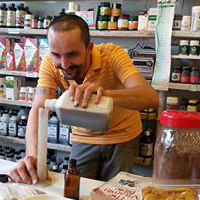 Opened in 1976 Food For All is a not-for-profit limited company, health food store, herbal dispensary and much loved community asset. 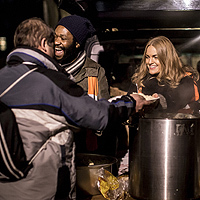 Up to 200 free meals a week are made from produce that would otherwise be wasted and served to people, mainly homeless, in need of food in London. AMURT UK is part of a global network of local AMURT chapters that respond to humanitarian disasters. 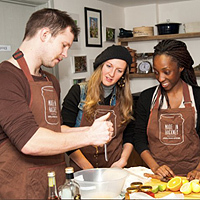 We are proud to have incubated this pioneering eco-community kitchen that teaches growing, cooking, composting skills that are good for people and planet. AMURT Nigeria launched in 2010. The chapters core work is to reduce mother and child mortality rates. AMURTEL Greece has an all-women team of midwives and support personnel which is working in refugee camps, squats and other refugee accommodations in the wider Athens metropolitan area. AMURT Romania has been providing vocational skills and housing to vulnerable young people, many homeless, since 1990. AMURT Ghana began work in the mid 1990s as part of the Mafi-Zongo Area Water Project located in the Ghana’s Volta Region. AMURT Kenya run a myriad of projects from HIV-care, youth programmes, emergency mass-feeding and health/social enterprise initiatives.